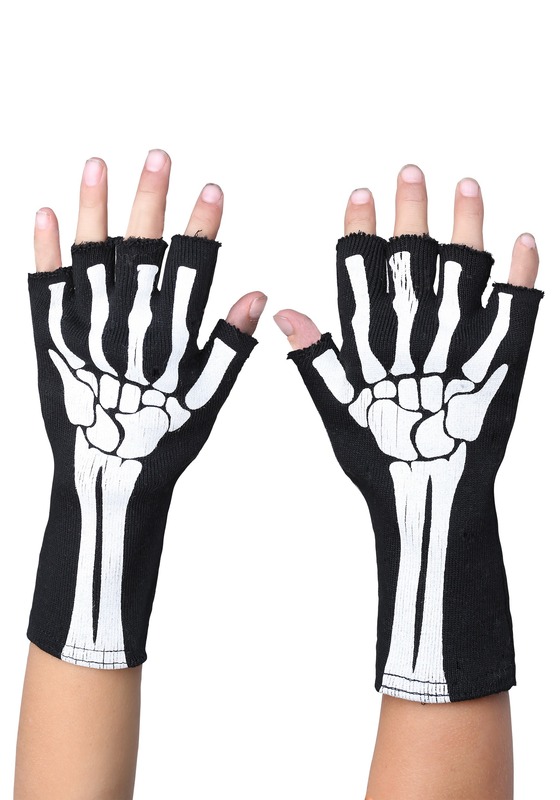 Whether your kiddo is about to rock a really cool skeleton costume this Halloween, or they're just ready to rock their guitar solo at the school Halloween party, they will totally flip for these Kid's Fingerless Skeleton Gloves! We must admit, that is one really cool kid you have on your hands. And what's not to love? 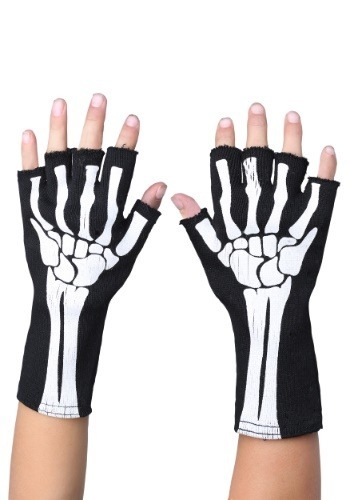 This pair is perfectly edgy and hip, but will also keep their hands warm for trick-or-treating or while playing outside during recess—in costume or out! These black knit gloves measure 8 inches and fit children 4 and up! They are printed with white hand, wrist, and forearm bones and they will fit in seamlessly alongside a skeleton jumpsuit, or even next to a cool bone-printed hoodie for a more laid-back costume. The raw edges around the fingers finish the look, which is perfect for a little rock star like your kiddo. While it's definitely helpful to have all your fingers in life, when it comes to gloves, fingerless is in! Give your child this unique pair and they're bound to be the hippest child at their Halloween party. No bones about it! Standard Wrist Opening 5" 5"